Cultural anthropologists Karen Hébert (Yale University) and Danielle DiNovelli-Lang (Carleton University, Ottawa) recently began a three-year project funded by the National Science Foundation to investigate relationships and perspectives on climate, environment and economic crisis in two of Alaska’s rural subarctic communities: Dillingham and Sitka. The two coastal Alaskan communities at the center of the study are accessible only by air or water. Both have native and non-native populations, and commercial fishing is a main part of the economy. The comparative study aims to better understand how different communities address resource concerns and identify avenues for building more inclusive and effective efforts. The researchers plan to share what they learn with coastal communities in Alaska and around the world that are facing similar challenges. Dillingham, located in southwestern Alaska, north of the Aleutian Islands, is Bristol Bay’s largest population center. The Bay boasts some of the most extreme tides on earth—up to 30 feet—and the shallow waters host the world’s largest sockeye salmon fishery. These fisheries not only feed the local people, but also are the foundation of the region’s commercial fishery. The population doubles during the summer salmon fishing run with the influx of non-local workers. In the early 2000s mining companies began making plans to begin mining for gold, copper, and molybdenum in the area. One of these proposed mines is the Pebble Mine, which would be in the headwaters of rivers near Dillingham. Local communities began to worry about the impact of mining on the local fisheries, controversy brewed, and what followed was a greater conversation about natural resources management. In addition, mine opponents worried the mine would bring an unsustainable influx of workers and other people. 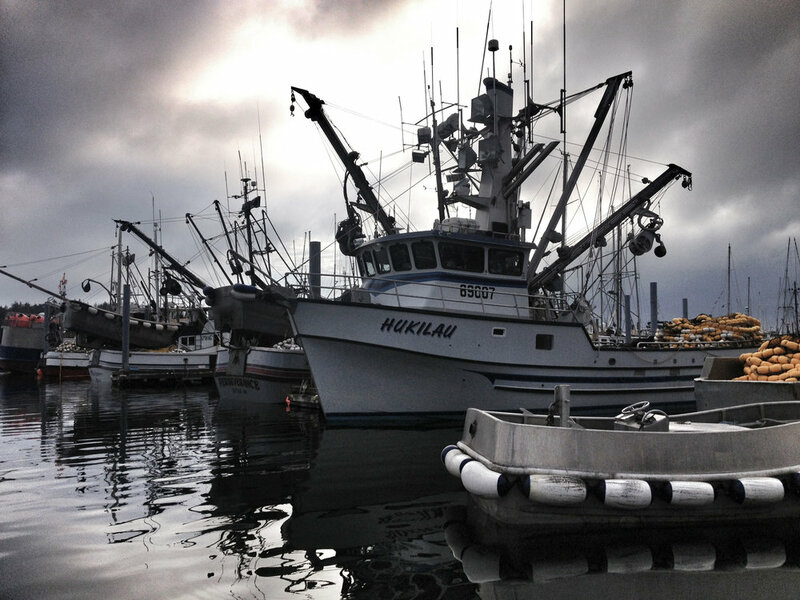 Sitka, located on an island in southeast Alaska, also relies on commercial fishing for its economy. Unlike Dillingham, Sitka fisheries employ a variety of methods and gear, and extend beyond salmon to herring, halibut and black cod. A slight majority of the city’s population identifies as non-native. And Sitka has a long history of producing scientific research. “In Sitka, perhaps because of early colonial settlements, which set up missionary schools, the educational infrastructure is well-developed. The community is still known for its schools, so people have a different relationship to science. This may have informed how local NGOs advocate for community research and conservation,” says Hébert. For instance, when the local pulp mill closed in 1993, some Sitka residents questioned the viability of their economic future, and argued that diversification was key. Since then, there has been a big push to deliberately concentrate on science and education so that the economy is not based solely on extractive resource uses. Many Sitkans hope that the community might evolve to become a regional center for research relevant to coastal Alaska. Hébert says it’s often tough to capture the wide range of perspectives these communities present. The team approach to this study uses methodologies such as participant-observation, which involves taking detailed field notes. Hébert’s team is also conducting semi-structured interviews to gain a better understanding of Dillingham and Sitka. Hébert uses relatively unsophisticated technology for interviews—just a notebook and digital voice recorder. The exception is in a series of oral history interviews captured in high-quality audio and video that will be preserved and shared with the communities through the Sitka Maritime Heritage Society and through the University of Alaska at Fairbanks. In coming years, Hébert’s team will continue their research, conducting interviews with people who are not necessarily community leaders or in resource management positions, hoping to capture the full range of viewpoints among those who use coastal resources.